The artist was born Laub Fülöp on 30 April 1869 in Pest before it was joined with Buda in 1873. 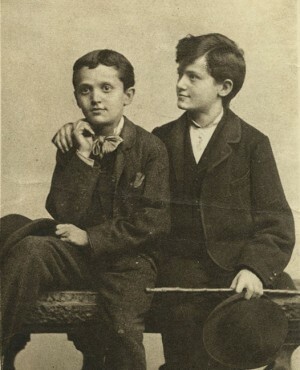 He and his brother Marczi took the Hungarian name László in 1891 as a patriotic act, as did many of their fellow countrymen. In 1912 he was ennobled by Emperor Franz Joseph and became known as Philip de László. De László came from humble origins. He was the eldest son of a family of nine of whom only five children survived. From an early age he was driven to succeed as an artist and was sustained by his hard-working nature. He was employed as a set designer, porcelain and maiolica painter and sign writer before being apprenticed in 1884 to the famous portrait photographer Sándor Strelisky. This enabled him to support his mother, his father having largely disappeared from family life. While fulfilling his three-year contract he entered the Budapest School of Applied Arts in 1884 and then the Drawing School in 1886 where he earned his first state scholarship. At the unusually young age of sixteen his talent won him a place as a student at the National Academy of Arts (1885-89) with Bertalan Székely and Károly Lotz as masters. 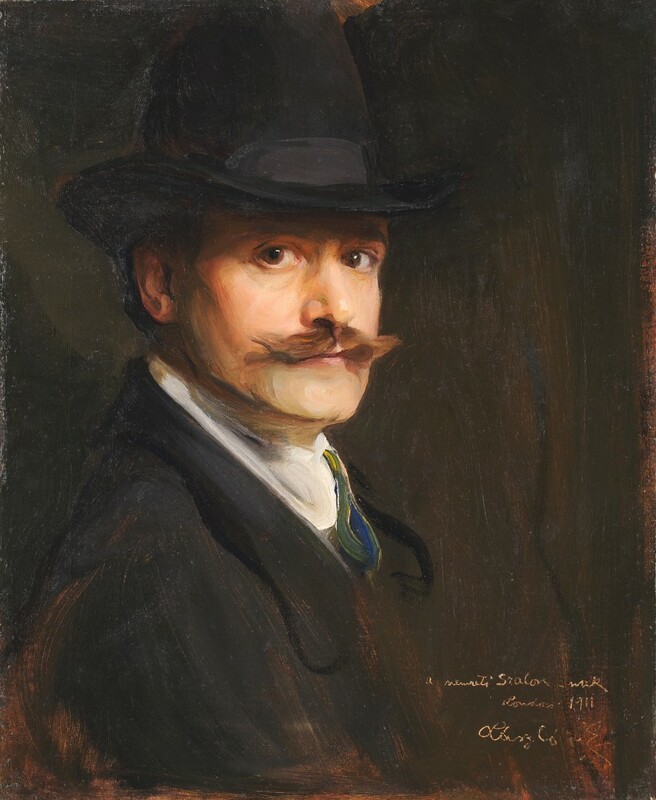 He then attended the Royal Bavarian Academy of Art in Munich twice (1889-90 and 1891-92), under Professor Sándor von Liezen-Mayer and the Académie Julian in Paris (1890-91) under Jacques-Jules Lefebvre and Benjamin Constant. During his formative years de László devoted himself to history and genre painting. His most important works during this period were Felicián Zách, L’Incroyable and above all Hofbräuhaus. 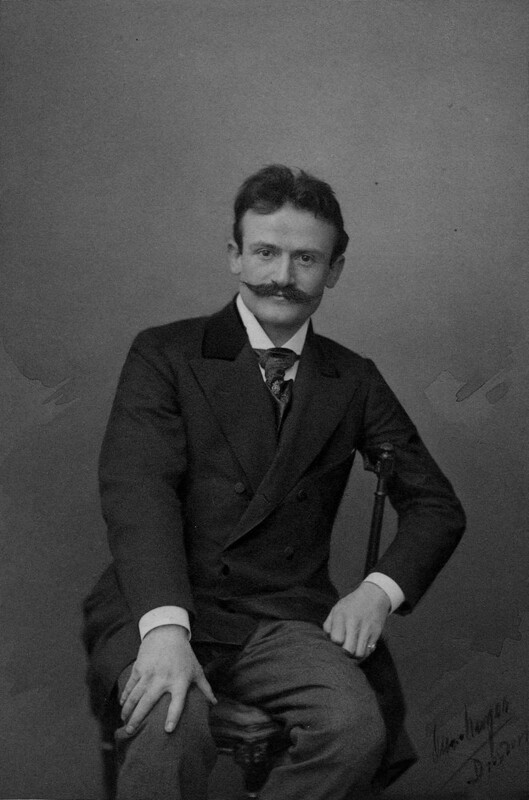 In 1889 he received one of his first portrait commissions from Dr Pál Galambos (formerly Grünbaum), an influential lawyer from Ó-Becse in rural Hungary. His first royal commission came in 1894 through his friend Alexius de Lippich, the Secretary of the Fine Arts Department in the Hungarian Ministry of Education to paint the Royal Family of Bulgaria. This was followed by Emperor Franz Joseph in 1899 and a commission from Queen Victoria to paint her favourite General Sir George White in 1900. 1900 was a decisive year for de László. He painted members of the German Imperial Family and travelled to Rome in the spring to paint Pope Leo XIII. This picture won him international fame and the Grand Gold Medal at the Paris International Exhibition that year. 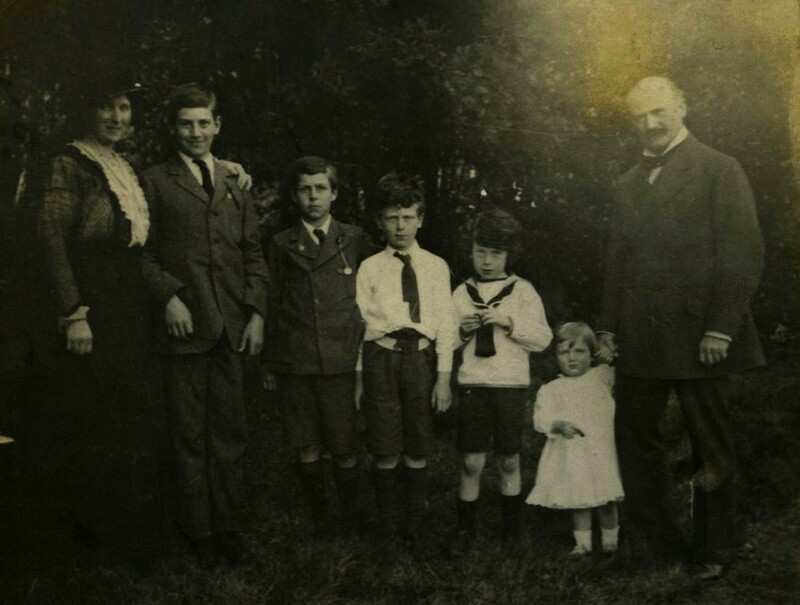 He was finally able to marry Lucy Guinness whom he had met while studying in Munich eight years previously. 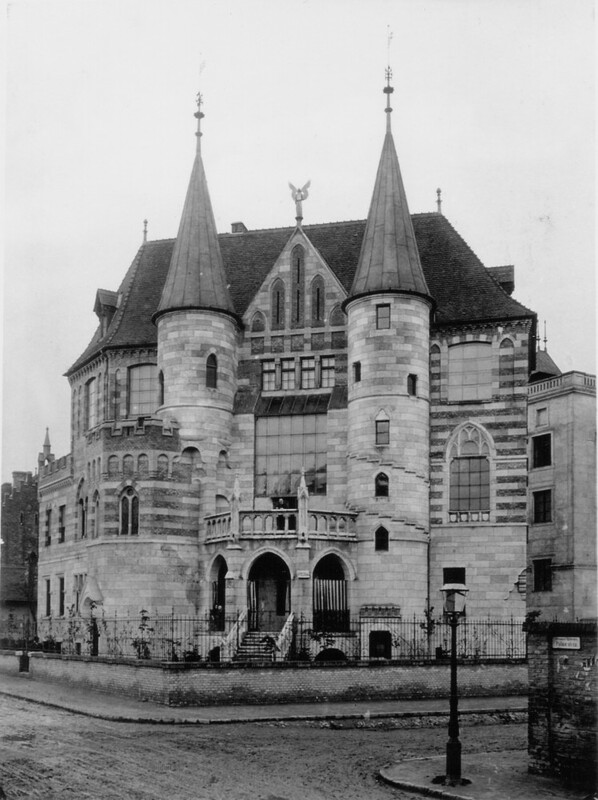 They lived in the studio-house de László had built in Budapest before moving to Vienna in 1903 and then settling in England in 1907. They had five sons, Henry, Stephen, Paul, Patrick and John. De László consolidated his reputation world-wide in the first decade of the twentieth century and was proud to be appointed as Member of the Royal Victorian Order by King Edward VII in 1909. His great patron Lord Selborne’s encapsulated his extraordinary achievement: “Has any one painter ever before painted so many interesting and historical personages?” By the time of his death in 1937 he held twenty-two orders and seventeen medals of merit bestowed on him by royal and presidential sitters. As an exponent of the Grand Manner de László’s reputation declined after the Second World War. The resounding success of the exhibition A Brush with Grandeur (Christie's London, January 2004), inspired renewed appreciation of the artist's accomplishment. The exhibition was presented by the Hungarian Ministry of Cultural Heritage as part of Magyar Magic, the Festival of Arts arranged by the Hungarian Cultural Centre in London, November 2003-November 2004. The Catalogue Raisonné will make his greatest pictures, the majority of which are held in private collections, widely available.